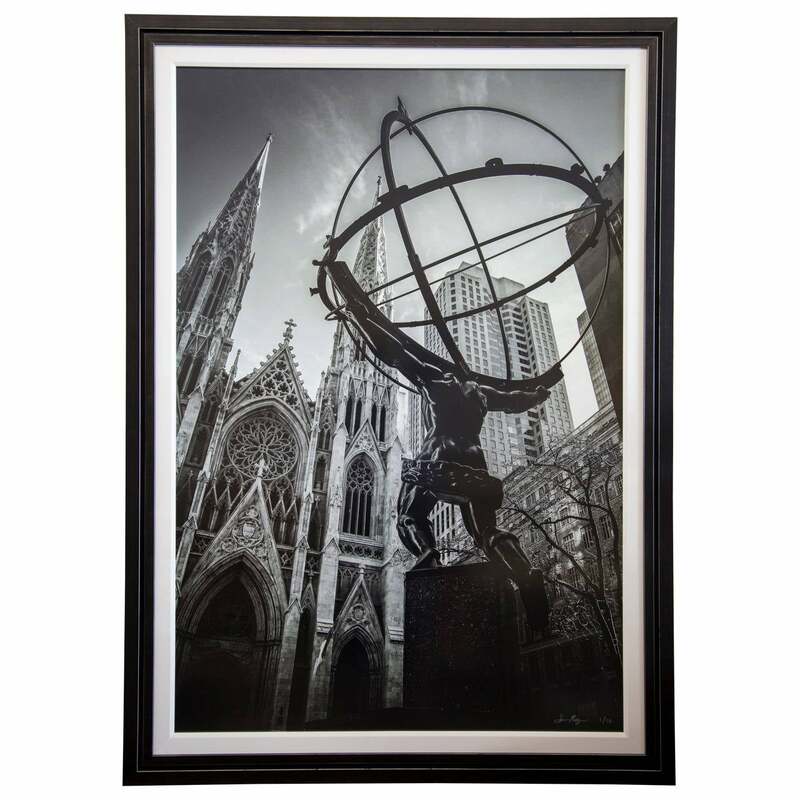 A truly stunning depiction / photograph of Lee Lawrie's Atlas sculpture in Manhattan. 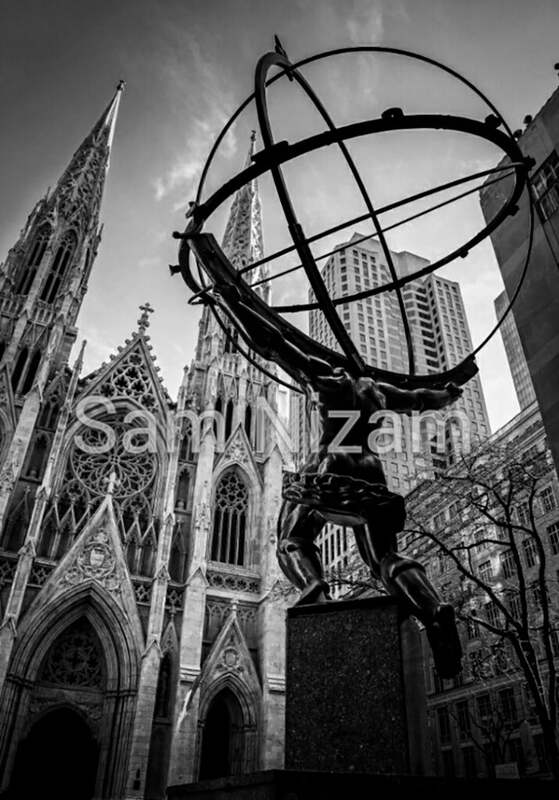 Nizam offers a unique perspective, showing Atlas carrying the weight of the world while seemingly kneeling before St. Patrick's Cathedral. Custom framed, signed and numbered #1 of an edition of 12. 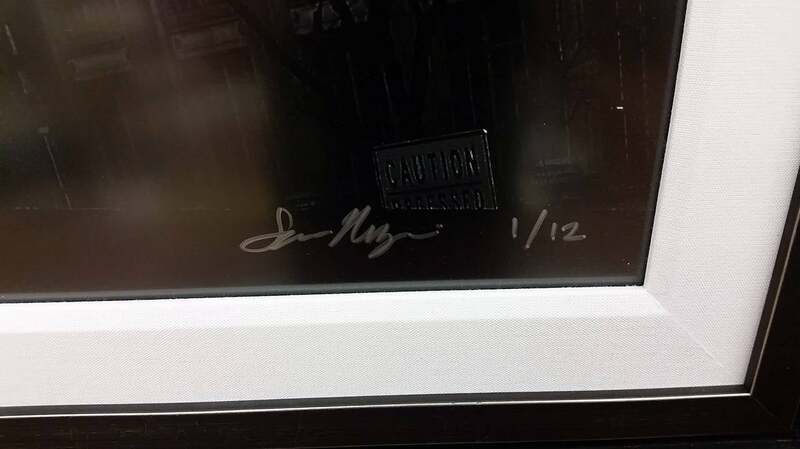 Photograph is behind "matte" glass, as to not reflect any glare. 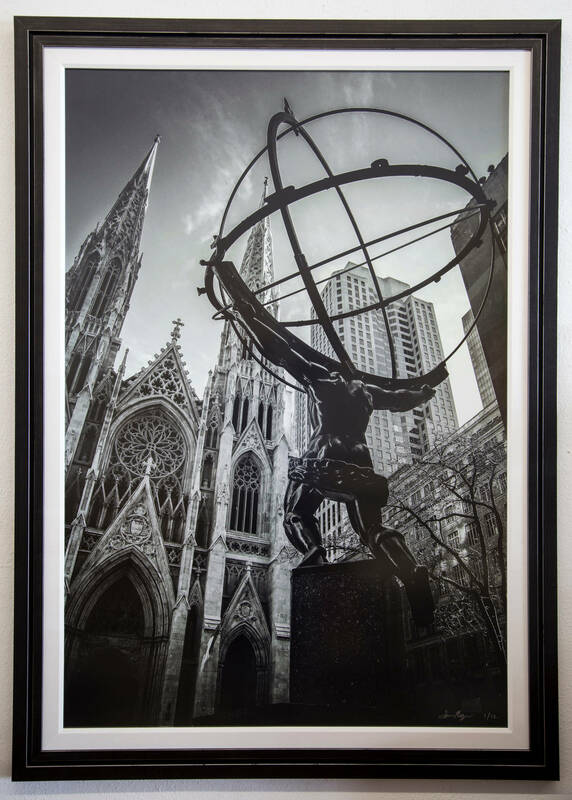 Listing includes a photograph of original copyright artwork for reference as the matte glass can affect the camera's perception of the framed work. This piece was recently published in a story titled "Sacred Landscapes" on National Geographic's website. Fabio Esteban, an editor for National Geographic remarked "This image is powerful in so many ways. I love that there are multiple layers of history, culture, industry, faith, nature, all melting in texture and color. Great image!" A stunning work by MAK titled "Grapevine" signed and dated 2019. This work features grapevine motif inset with geometric shapes and an almost Mid-Century Modern or "googie" type feel. They may show slight traces of use since they're vintage, but they can be considered as in excellent original condition. Measures: Width 120 cm Height 220 cm. Photography Serge Gainsbourg on plexiglass. Limited Edition of six pieces. Made by Valerie Durand artist. Delivered with certificate. Photography David Bowie on plexiglass. Limited Edition of six pieces. Made by Valerie Durand artist. Delivered with certificate. Photography Steve Mc Queen on plexiglass. Limited Edition of six pieces. Made by Valerie Durand artist. Delivered with certificate.